For example, if you only scan this poem, a synopsis might go like this. Father and son go to the supermarket. While putting produce in the basket, the son finds a coconut and asks his father if they can buy it. The father says no. The son begins to cry. The father changes his mind. The son stops crying. When they get home, everyone is happy again. But that's not what the poem is really about it. So read on, and then I'll tell you more. The speaker knows this is more than a coconut story, and he wants us to understand. He even gives us the written equivalent of pressing down of his hands in he air. "I know, I know," he tells us. "You think this is about going to the grocery store." The speaker predicts our hesitation, and pleads with us to keep going. When we do, we discover that the coconut is a teacher. Embracing life moment by moment isn't the easiest exercise for any of us. Take the speaker. He entered the grocery store with a list that did not include coconut. He was not in the best mood, maybe still dwelling on some exchange at work or at home earlier in the day. Whatever it was, he carried that mood into his errand. And to him, that's what it was. Just an errand, a task, something that needed to be accomplished in the shortest amount of time possible. His state of mind was irritated, focused, clouded. So when his son is suddenly mesmerized by a coconut, the speaker isn't prepared emotionally. He wasn't open. His reaction, the one that made his son cry, reflected this, and by the time those 10 seconds passed while his son's cheeks were turning red and Dad agreed to keep the coconut, the magical moment had passed. It reminds me of that Florence and the Machine song. "Happiness hit her like a train on the track..." Happiness can come at any moment, so we had better be ready. Luckily, the magic reappeared, and the last few lines just make my heart burst a little. If you take anything away from this poem, let it be this: We must be open. 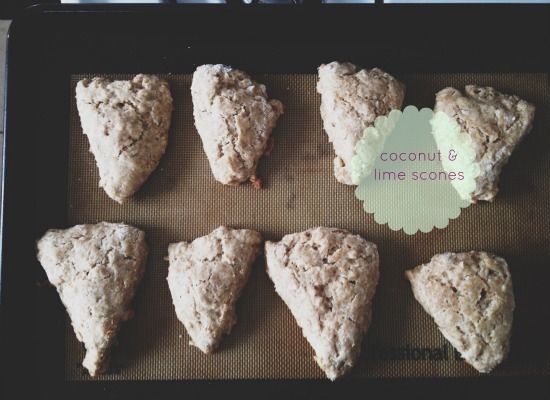 And in the spirit of slowing down, finding happiness in coconuts or anything else, I offer scones. 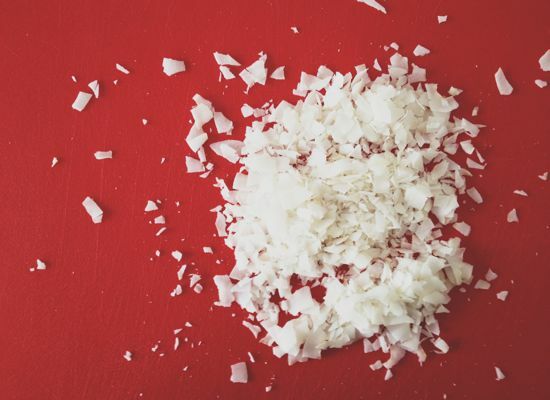 Grate the butter on a box grater and keep it in the freezer until you're ready to mix everything together. It's helpful to utilize the wrapping, or a small paper towel, otherwise the butter will start slipping through your fingers. 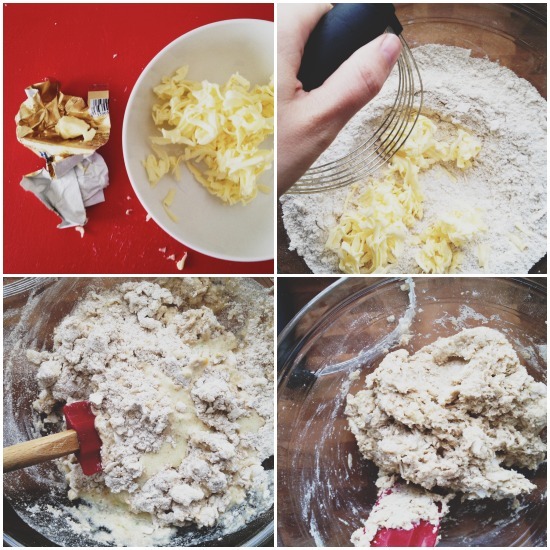 Whisk together the flours, sugar, coconut, baking powder, and salt in a medium bowl. In a glass measuring cup, whisk the egg, coconut milk, and zest. Add the frozen butter to the bowl of dry ingredients, and mix it quickly with your fingers until small pebbles are formed. Pour in the wet ingredients, and stir with a spatula until the dough just holds together. Place it in the refrigerator to chill for 15 minutes. Preheat the oven to 400 degrees while you wait. Line a baking sheet with parchment paper or a silpat. 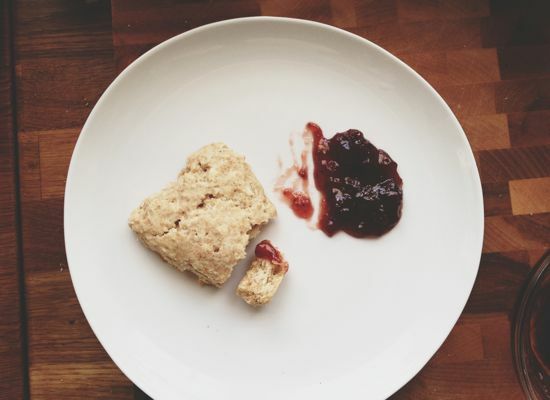 Generously flour a cutting board and gently form the dough into a 1- to 1 1/2-inch thick round. Cut the disc into eight triangles, then place on the baking sheet. Brush additional coconut milk on top, and sprinkle with extra sugar or coconut flakes, if you'd like. Bake for 15-18 minutes, until golden brown. Serve warm or at room temperature.